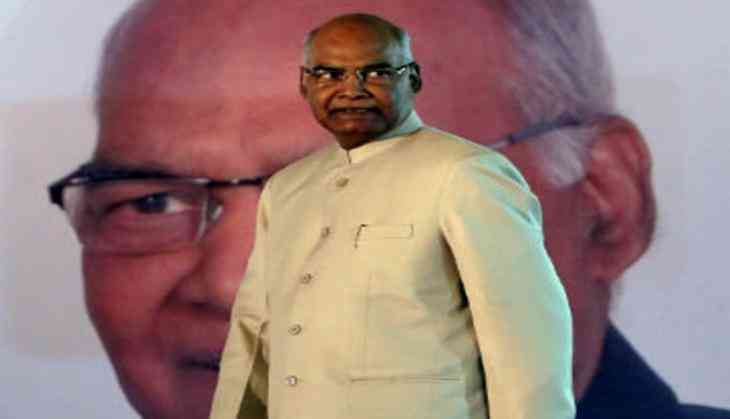 President Ram Nath Kovind on 4 November said that India is moving towards research-based learning and churning out products and technologies for nation-building. Addressing the gathering at the 48th convocation of Indian Institute of Technology (IIT) Delhi, the president said the IIT system in general - and IIT Delhi specifically - has been the gold standard of technical education in India. "IIT alumni have been the bedrock of India's engineering capabilities, its IT industry and our start-up culture. They have been brand ambassadors of India's intellectual and technological strength across the globe, from Singapore to Silicon Valley," President Kovind said. The President said IIT Delhi now has more post-graduate students than at the undergraduate level, which is a healthy sign. "We are moving towards research-based learning and churning out products and technologies for nation -building. Researchers at IIT Delhi have invented and developed products that contributed to the well-being of fellow citizens," he said. The president said there is a social role of IITs and the place they have in the Indian imagination. He said that institutions such as IIT Delhi are not just centres of education but hubs of communities.